Hobbies: Snowboarding, going to concerts, traveling, and hiking. Secret 411: Little known fact: I can wiggle my ears on command! Favorite Quote: Life is one big road with lots of signs. So when you’re riding through ruts, don’t complicate your mind. Flee from hate, mischief and jealousy. Don’t bury your thoughts; put your vision to reality. Wake up and live! Connor Dube is the Director of Sales and Marketing at Active Blogs, where he works to bring in new prospects, identify partnership opportunities, and market blog and newsletter programs. Connor has been passionate about sales and marketing ever since he started his first landscaping company at the age of 13. Since then, he has expanded upon his skills as a professional marketer through various outlets. 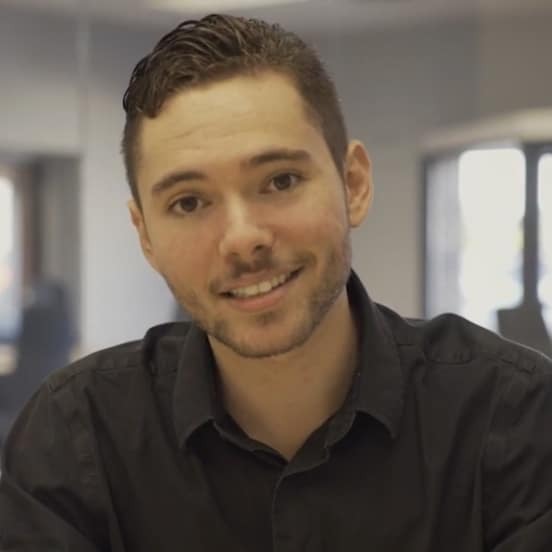 With a background of various sales roles, Connor had the opportunity to work as a Proximity Marketing Manager for Renewal by Anderson Windows — one of the largest window companies in the U.S. His ability to integrate various skills and experiences into his professional roles led him to his current position at Active Blogs. When he isn’t promoting the company’s blog and newsletter programs, Connor enjoys watching funny movies and stand-up comedy, eating at restaurants he’s never been to, and snowboarding whenever he gets the chance. He also spends his time reading books on topics such as sales, marketing, and personal growth.